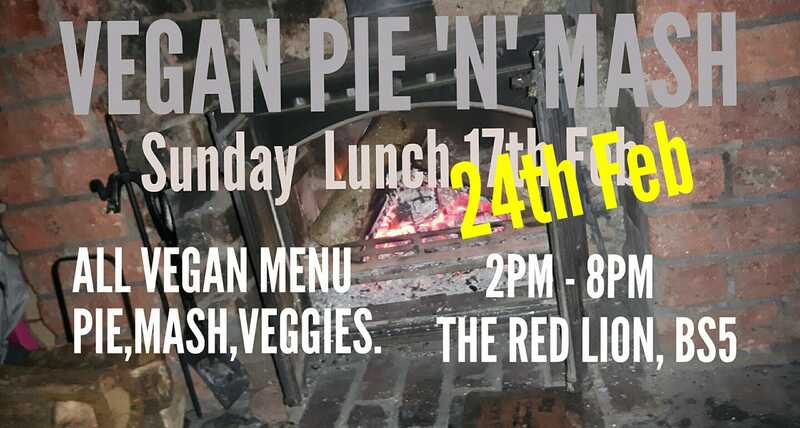 SUNDAY VEGAN PIE & MASH!!! A special Sunday Lunch menu of PIE ‘N’ MASH! A selection of ALL VEGAN pies, mash and roast vegetables. See more info HERE. New Pizza Kitchen at The Red Lion; home of incredible live music, parties, punk and cosy firesides. 206 Whitehall Road BS5.